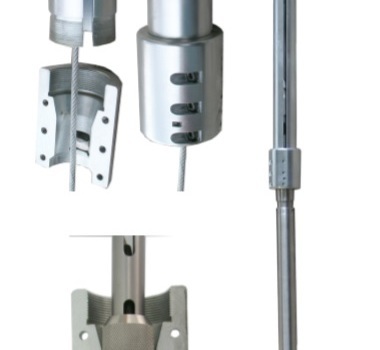 The Side Door Overshot is a fishing tool that is used to retrieve sondes that are stuck in a borehole. The advantage of this method is that it does not require the wireline to be cut. This tool is attached to drill pipe and lowered downhole. It follows the wireline cable, all the way to the cable head, or the cable head crossover. The grapple is designed to catch 28mm. • A 2 3/8” EUE Box Crossover to connect to the fishing string.